Firstly, may I see how proud and privileged I am to be standing to represent you in the local elections. It has been a pleasure meeting many local residents over the past few months and weeks. I attended Acton Park Primary School and then Rhosnesni High School. I am currently studying health and social care in Coleg Cambria. My main hobby is dancing Modern Jive, I have successfully competed in the World Modern Jive Championships and will be opening my own Modern Jive dance classes In Wrexham on the 2nd May. I have always been interested in politics and local issues. 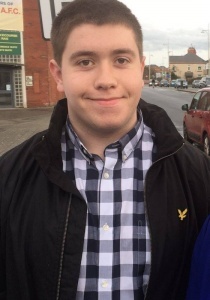 At 18, I am the youngest candidate in the elections, however I feel I am mature enough and have the ability to do a good job at being your local councillor. I believe that we cannot ignore the issues Wrexham currently faces, but we should also look for the positives. I am looking forward to meeting many more residents over the next few weeks and starting to deliver the change we need in Wrexham. 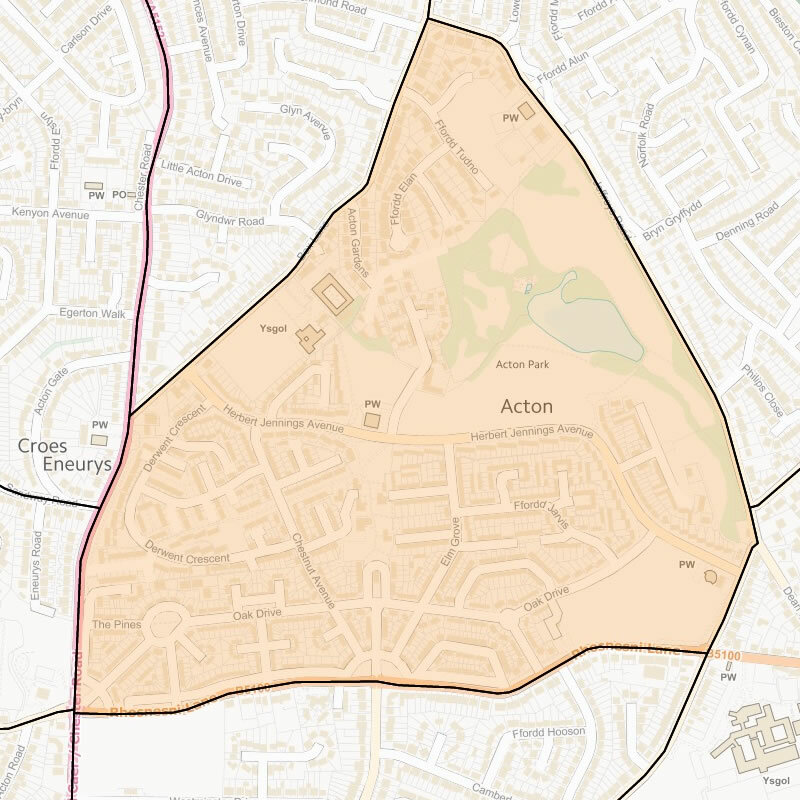 A major issue in the Acton area is the number of burglaries that have recently taken place. Potholes and overgrown trees have also been reported to me whilst meeting residents. 2. Further to the above issues you have specified, at a ward level what would you do to resolve these problems if elected? I would work with the police and other services to make Acton a safer place. I would push for more PCSO’s to be on patrol around Acton to deter people from committing crime and also reassure residents. I think that the ‘OWL’ scheme should be fully implemented in the area, something I would encourage all residents to participate in. I would ensure that action is taken to address this matter immediately. I would ensure that priority potholes are fixed as soon as possible and and trees are cut back to a reasonable length. 3. As a councillor and as a member of the council what would be in your power, and your priority, to help local businesses? I would like to see more rate relief for local businesses in Wrexham. I believe that high rates are hindering town centre regeneration. I would work to lower the business rates in the town centre to make it more affordable for local businesses. If elected, I will work with all relevant agencies to tackle anti-social behaviour in the town centre, to make it more attractable for people to visit. 4. How do you think adult social care in Wrexham should be funded? I believe that adult health and social care should be funded by general taxation. I think it is unacceptable for councillors to be receiving upgraded IPads and accepting pay increases when there is cuts being made to vital services, such as providing social care in Wrexham. 5. What do you think is the most urgent thing, in the power of councillors, required to improve the local education system? The cuts being made to education budgets is making it very difficult to provide quality education. Budget cuts often lead to staff losses, which means that support cannot be given to every child that needs it. As some schools are already full, I believe that we should be building new schools to meet the growing demand for school places. 6. What do you think should be done with the Groves school building, and the site? 6. I actively campaigned to save the former Grove Park school and am thrilled it has now received listing status, which I believe it deserves. As there are covenants on the site stating it should be used for educational purposes, I believe that the building could accommodate new primary schools to meet the growing demand for school places. I have been more than disappointed with the council's actions over dealing with the future of the school. Leaving the building empty and un-used would be a great loss to Wrexham. 7. What are your thoughts on the housing supply in Wrexham, and if you feel more housing needs to be created in volume, where would that be sited and who would it be targeted at? I, along with other Plaid Cymru candidates oppose the plans to permit an extra 12,000 houses across Wrexham. I do not believe that our infrastructure can accommodate this scale of development on greenfield sites and playing fields. There are currently 2,500 empty houses across Wrexham, I feel these should be prioritised to be put back into use. The LDP for Wrexham should be based on local need. 8. On litter and dog fouling enforcement, do you think this should be provided via a third party, and should it be enforced to the letter of the law or in a more lenient manner? I do not support this enforcement being provided by a third party. The council’s current provider is tacking cigarette ends but ignoring the larger issues, such as dog litter and used needles. I would like to see cleaner streets in Wrexham, and would support more street cleaners to achieve this. 9. Do you favour the current Executive Board system or a politically balanced system? Why? Politically balanced – this allows all groups / parties to have representation and also ensures better scrutiny. I think that all other elected members should have more authority to challenge decisions made by the executive board, though, to avoid having the awful decisions made in the recent years repeated. 10. As has happened in Wrexham recently - if you change political allegiance from what you are currently seeking election for (eg. resigning from, or joining another party) will you trigger a by-election? If not, why not? I would trigger a by-election. 11. 'Reshaping' Wrexham Council is a major theme impacting all areas of the local authority. What areas do you think could see deeper savings made and why? I think that any cuts made should be made from the top, it is unfair that some people do not seem to be suffering the cuts that many others are. I believe many cuts could be made in the council such as: less use of external consultants, a lowered mayoral budget, not accepting IPads and not accepting pay rises. 12. With the 'Reshaping' programme, which specific areas would you look to grow and create revenue streams in? Many council services are statutory, and those should be a priority. I would support the council increasing the amount of money spent within the area rather than buying services / goods from further afield – this would help improve the local economy. 13. The Town Centre Masterplan is an aspirational document which could shape and transform the town centre over the next ten years. What is your future vision for Wrexham town centre, and how will you help achieve it? My future vision for Wrexham town centre is for it to be the thriving place that it once was. I would support more shops in the town centre, and not just Eagles Meadow. I believe that we have an opportunity to make Wrexham unique, by making sure there is plenty of entertainment in Wrexham, sport facilities and food and drink outlets. As a councillor, I would promote more town centre events and encourage reduced rates in the town (few are council owned). 14. Many politicians are accused of being out of touch with voters and only surfacing before elections. What will you do to ensure you stay in touch through the coming years if you are elected? If elected, I will hold regular surgeries, produce regular newsletters and always be available by phone, text, e-mail, Facebook and meetings. I would continue to expand of the use of ‘Acton News’ on Facebook to keep residents up to date with all the latest news. 15. What are your thoughts on the current provision and support for the arts in Wrexham, and what would you do to support the arts? I would fully support expansion on provision for arts in Wrexham, I believe the Council can support more by encouraging more events that bring people into the town, as well as recognising any local people with special talents. 16. Wrexham Football Club had been let down greatly before being taken over by the fans themselves. As a councillor what action would you champion to help the club? I would push for profits from the development behind Kop to go to the club to enable them to re-develop that end of the Racecourse. Plaid Cymru wants Wrexham to have a National Football Museum. 17. Wrexham's Night Time Economy employs a large number of people and generates revenue for the town. As a councillor what action would you like to see from Wrexham Council to improve that sector? I would support the council organising events, publicising, improving signage and tackling anti-social behaviour. Better liaison with pubs is necessary. 18. Wrexham Council currently has two Public Space Protection Orders (PSPO) in place in the town centre and Rhosddu area. How should anti social behaviour be tackled? Firstly, I think the issue should be accepted, and not ignored. I think that an action plan needs to be drawn up to tackle anti-social behaviour and support offered to those who need it. 19. New Psychoactive Substances are a recent well documented problem in and around town, what do you think is the solution? I think that we should have a ‘zero tolerance’ policy in relation to the use Psychoactive Substances. I feel that the issue needs addressing, rather than being ignored. I think we need to look at a variety of possibilities to find a long-term solution. 20. Councillor pay, iPads as tools for the job, and allowances have all been topics of debate over the last few years. What is your view on this? All Plaid Cymru candidates have made a promise not to accept upgraded IPad’s nor a pay rise. I think its disgraceful that the Council is closing day care centres and leisure centres whilst unnecessarily upgrading IPads. 21. The ownership and operation of Plas Madoc Leisure Centre has been debated over recent years - where do you believe the responsibility for funding and running such public amenities should lie? I believe Plas Madoc leisure centre should be funded by the council, now that it is run by a community cooperative the council should ensure it has enough money to function. 22. What actions would you take, or support, as a councillor to encourage Welsh language use growth? Or, if you are against this, why? I would like to see the Welsh language used more in day to day life. I think we should be encouraging people to learn Welsh, and offer more services in Welsh for those who already speak it. I would also support a new Welsh school. 23. Currently Wrexham Council webcast their Full Council, Executive Board and Planning meetings, and some Scrutiny. Would you like to see the webcasting system rolled out to cover all meetings and how else do you think the local authority could involve the public more in the democratic process? I am in favour of all meetings being webcast. I think before each meeting the service should be checked to ensure it is in full working order, and that recordings will be high quality. I would also challenge the over-use of ‘Part 2’ meetings (those held in private, where public and press are excluded). Members of the public should be encouraged to ask questions in Council meetings. 24. This will be the first time some people are old enough to vote, with that age limit possibly dropping in future. Candidates are on the whole older and male. What will you do to represent a more diverse viewpoint? I would like to see the new council represent the wider community, by having more younger and more female elected members. Being young myself, I’d like to be a voice for EVERYONE in our community – being contactable in whatever way people feel most comfortable. I will strive for a council that works for everyone. 25. What local activity have you taken part in over the last few months to improve your ward? Regardless of if you win, will you continue any such action that benefits your ward? My main involvement in a campaign over the past year has been to save the Groves and to save our fire engine, I’d like to personally thank everyone who supported these campaigns. In a few hundred characters to wrap this up, why should people vote for you? Wrexham needs a change. We need new faces and new ideas in the council. If elected, I promise to strive to make a council that works for EVERYONE. I will always be contactable and promptly respond to you. I will always be on YOUR side and work for you. We cannot afford to go through another five years of decisions like have been made in the past few years. This is a chance to change Wrexham for the better, I hope you will lend me your support and together, we will deliver the change Wrexham needs. Plaid Cymru has a local manifesto which you can view online: www.plaidwrecsam.cymru Please feel free to contact me anytime via: •	Phone / text – 07999 476 406 •	E-mail – shaundavies@sky.com •	Facebook – Shaun Davies Thank you / Diolch. Read 1,158,746 times in last 30 days, and 73,985,540 times since we started in 2011.